Tonight there are a few of my friends coming round for a crafting session. 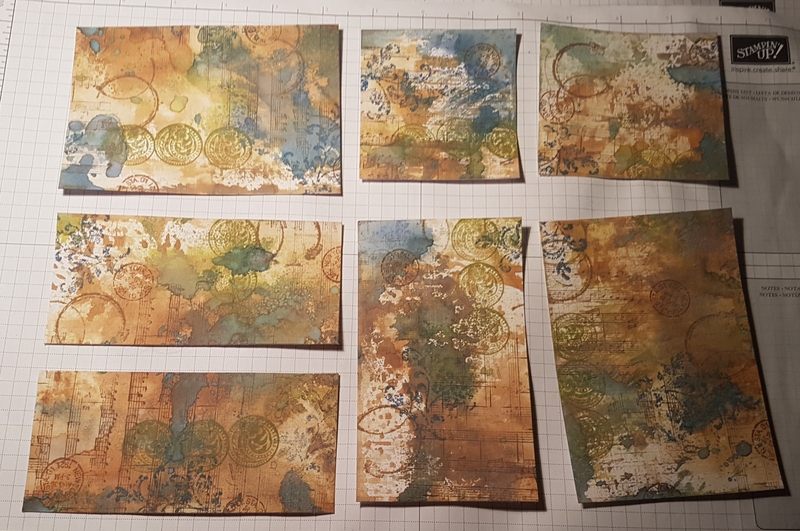 Originally this was pre Christmas but it ended up being a date no-one could make…so instead it’s tonight for us to have some fun with Distress Oxides. 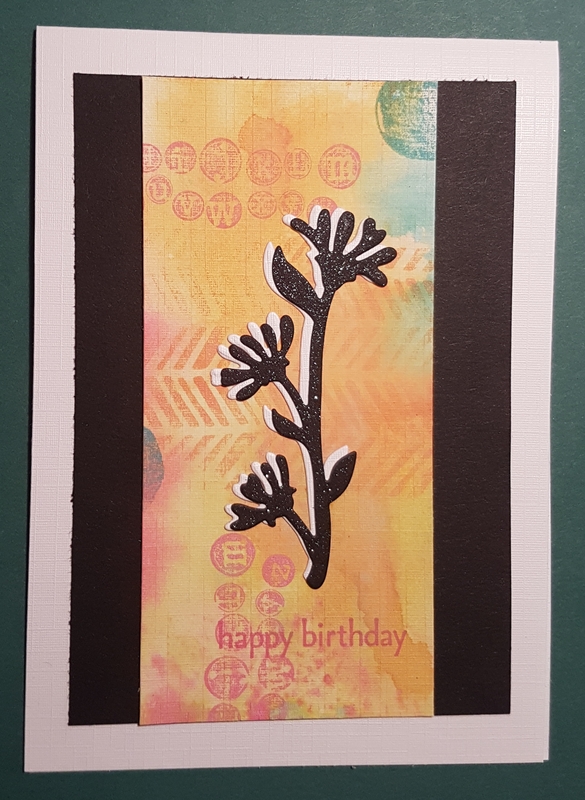 I decided that we could all make some pretty papers and then make cards from them… but with a twist… once we’ve made the paper we cut it into pieces and then swap so we have some of each other’s papers. 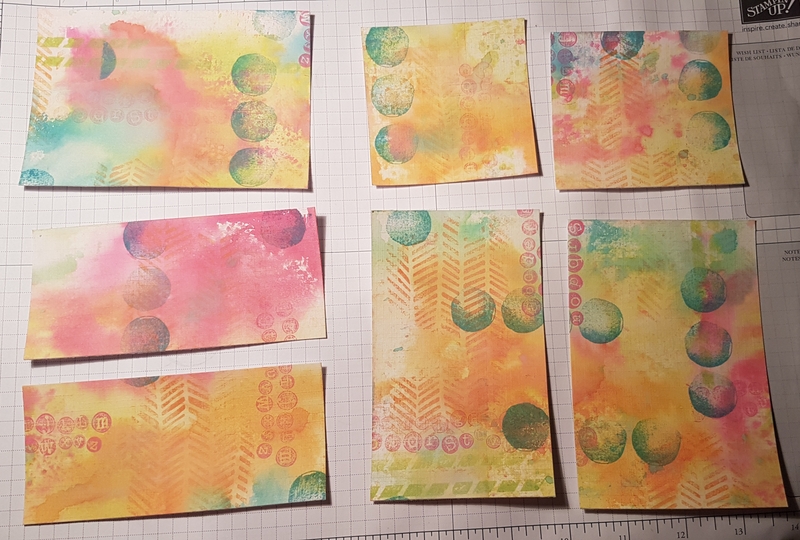 I did however need to make a couple of samples to see if we could design cards regardless of the style of the papers we made… with similar elements…. 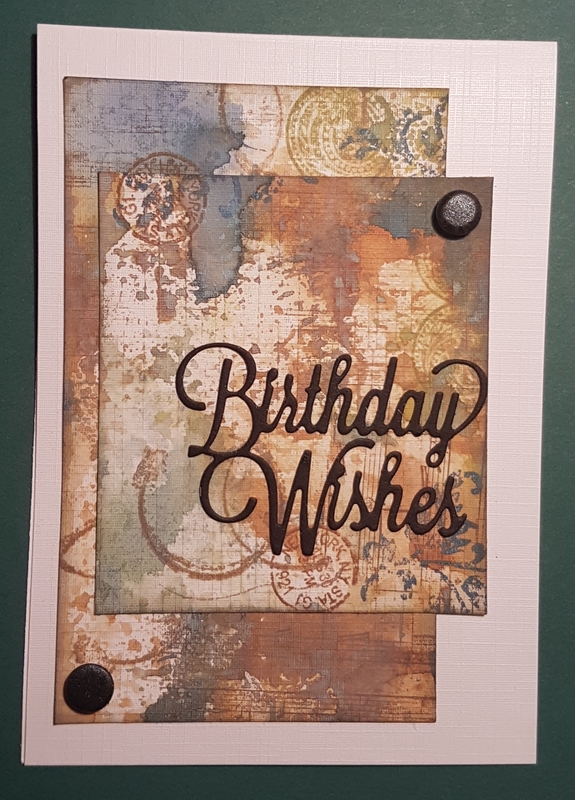 … so I first made a vintage themed background with Peeled Paint, Faded Jeans, Vintage Photo, Frayed Burlap and Walnut Stain. 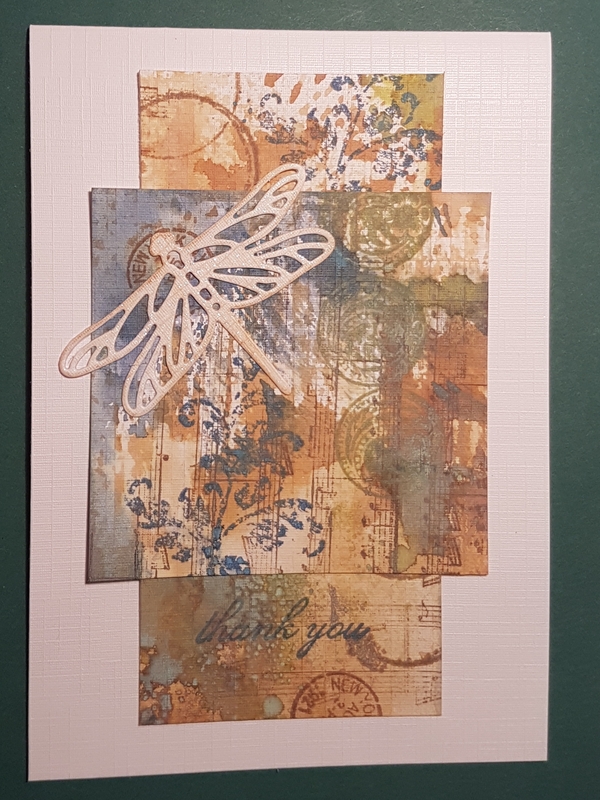 I used a selection of stamps… Timeless Textures, Affection Collection, Butterfly Basics, Sheet Music. Next I made a bright and funky one… Picked Raspberry, Twisted Citron, Spiced Marmalade, Cracked Pistachio, broken china. 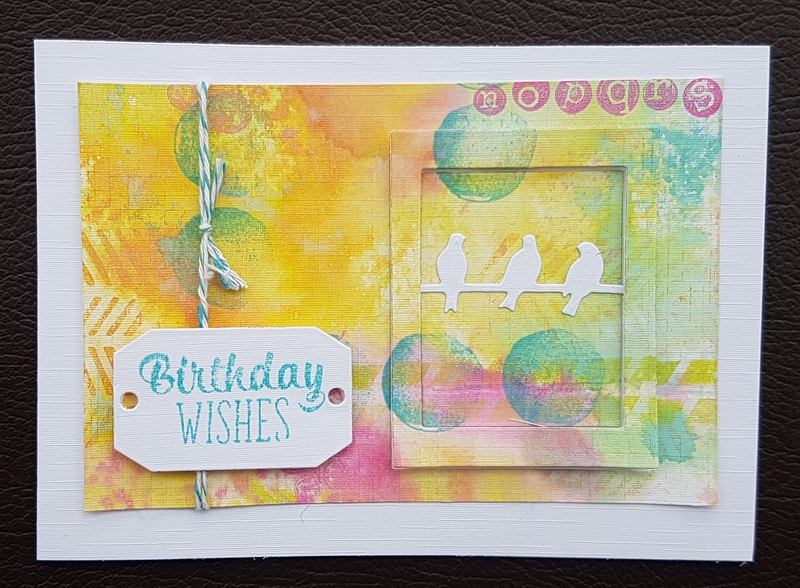 And stamped using stamps from Tap Tap Tap, Handcarved, Happy Celebrations, Butterfly Basics. 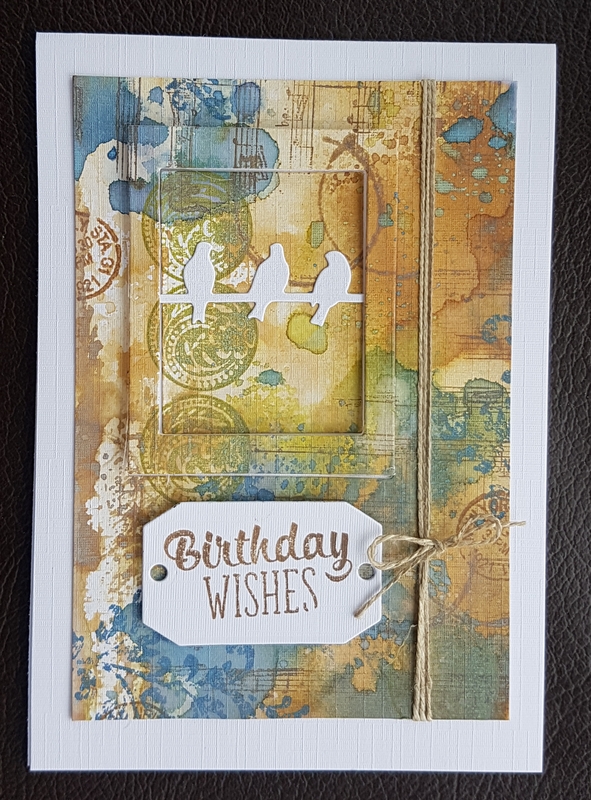 … And then started to put together cards based on the same sketches that I put together (whilst eating lunch at work I managed to get some ideas down on paper! I started with an inlay die cut using the swirly scribble thinlits die. This provides a lovely finish and needs very little to finish it off. 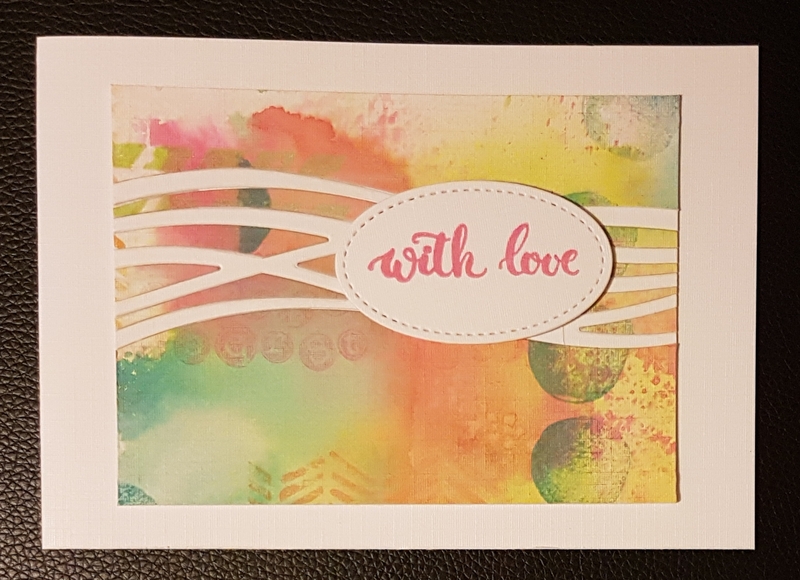 I just added a stitched framelit oval and a sentiment to each of them and changed the orientation of the cards. 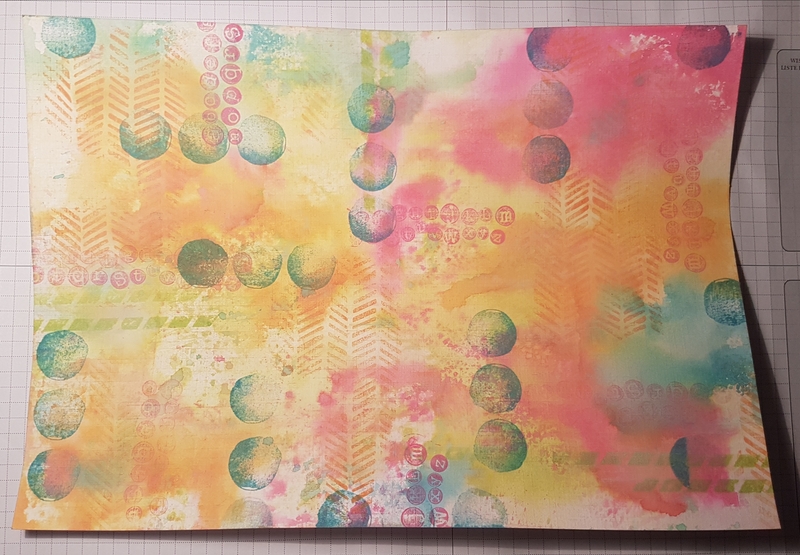 Next I took the other larger panels and I die cut a frame effect using two rectangle dies. I popped the frame up on foam pads and then added the diecut birds to the middle panel before sticking it back in place. I added some wink of Stella to the bids and a die cut sentiment label and added twine to each of them … one the linen thread and the other the bakers twine. I decided to change the orientation for each of them again to show two possibilities for the card design. 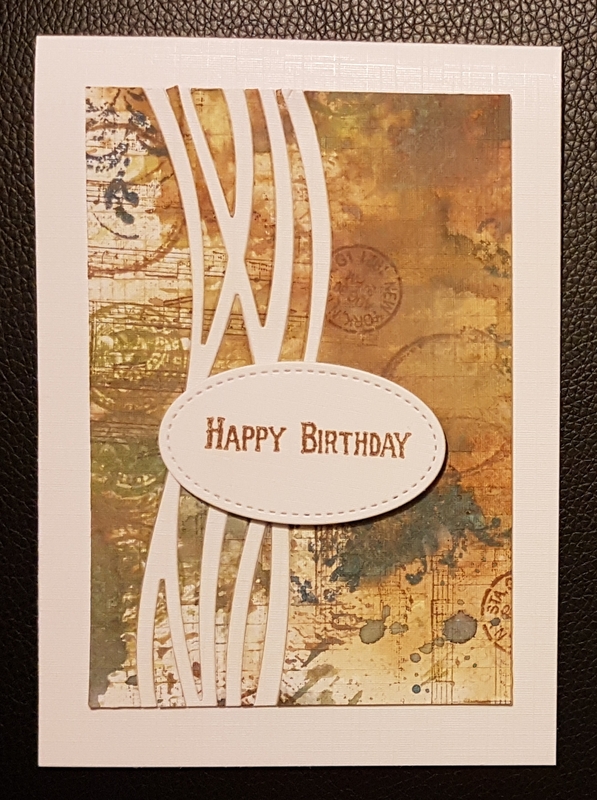 Next up I wanted to use die cut sentiments. As I was layering two panels of the cardstock I did add a little ink to the edges to give them more definition. I felt one needed a white sentiment and the other a black. 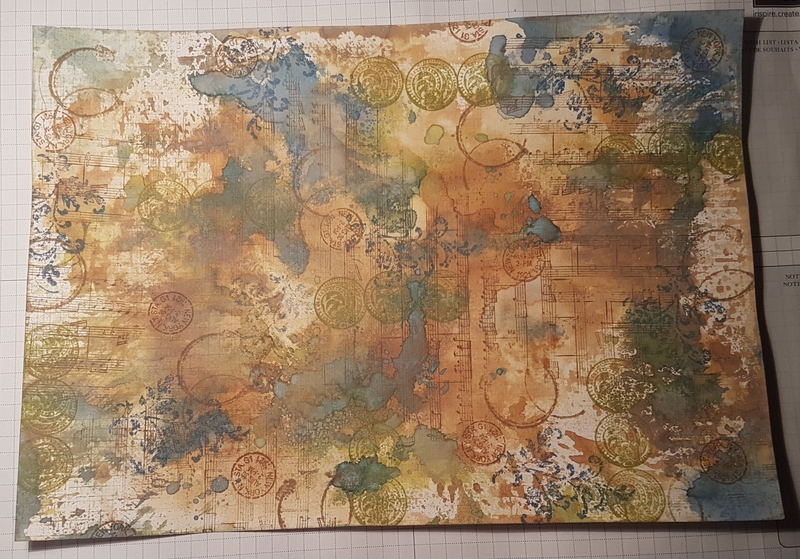 So onto another layered layout. 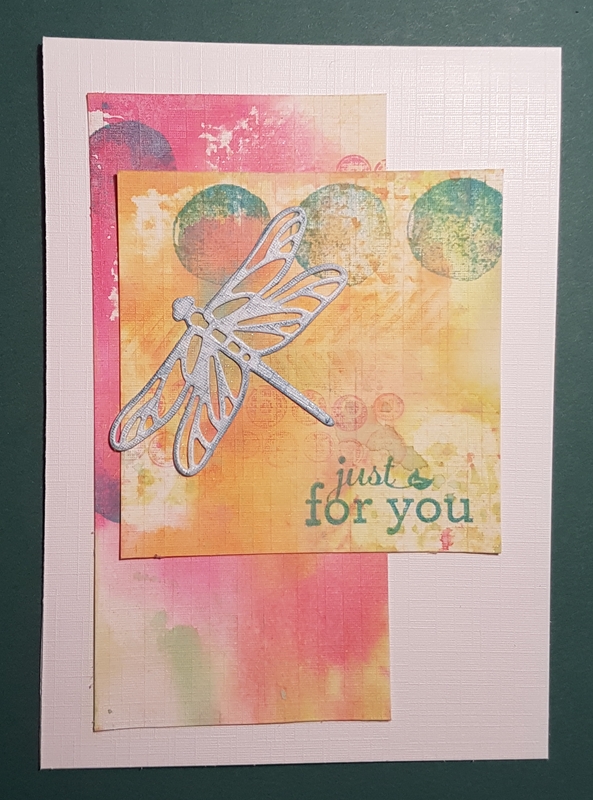 I couldn’t resist using this dragonfly die cut for both of the cards. I just adjusted the position of the bottom panel for each card and chose a different placement for the sentiment. I die cut both dragonflies from white adding colour using my clarity brushes to keep it gentle. And finally I gave both of the final cards a mount of black and on one I tore an edge and the other I left it straight. 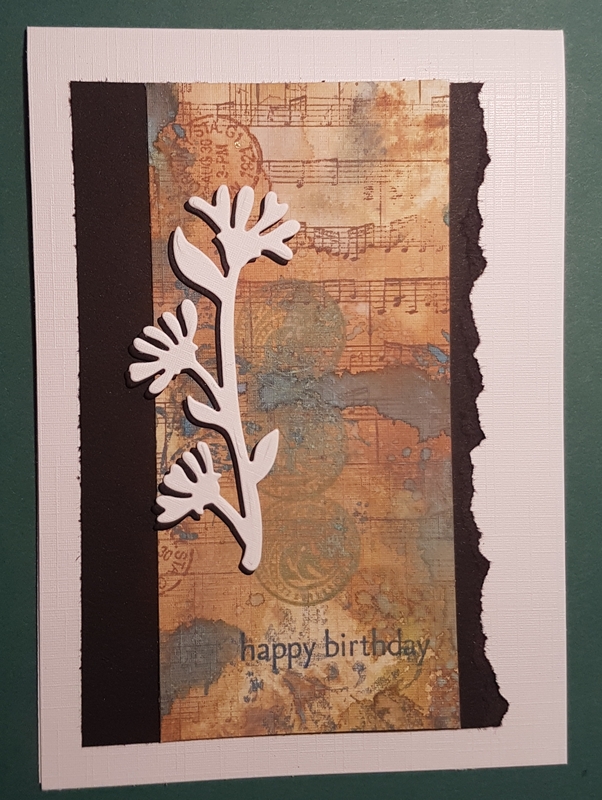 Then I layered two flower die cuts that i had done in black and white and reversed the order to give them a different look. 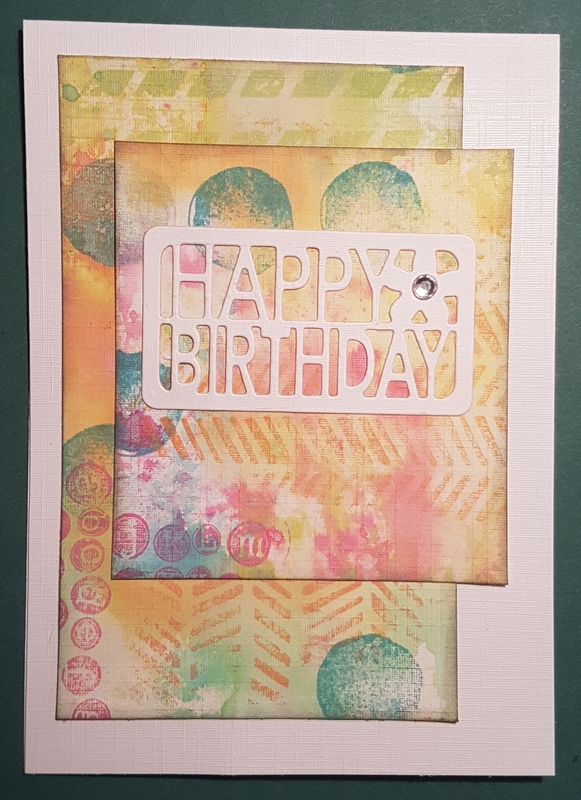 I added lots of wink of Stella to the black top level on the bright card as it needed some shimmer. I am really happy with how these came together as samples… wonder how the session will go and if we will manage to do something different? I’ve diecut loads of bits and pieces and so it will be interesting to see what people use!